Minneapolis restaurateur Jane Lawless is at crossroads. The rough economy has put her plans for a third restaurant on hold, and her long distance romance is on the rocks and quite possibly unsalvageable. Unsure of what to do next, she takes her good friend A. J. Nolan up on his standing offer to take her on as a private investigator. While still in training, her first job seems simple enough. All she had to do is find Annie Archer’s stepfather. Jane tracks down a likely match—a man who has made a small fortune in real estate. While she’s happy to close her first case, she finds it hard to reconcile the difference between PI work—finding what people pay you to find—and uncovering the truth, the whole truth, especially when clues in this seemingly simple case point to more threatening family secrets than where Annie’s father has been hiding out. Ellen Hart’s The Mirror and the Mask is another engrossing mystery filled with the deceit and psychological intrigue that fans have come to expect from this Lambda and Minnesota Book Award--winning author. ELLEN HART, "a top novelist in the cultishly popular gay mystery genre" ("Entertainment Weekly"), is also a Lambda and Minnesota Book Award winner. 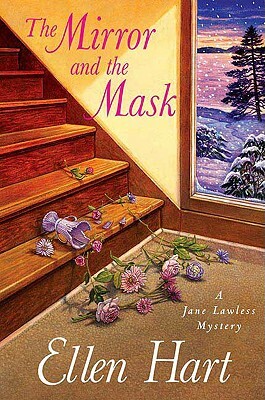 The author of sixteen previous mysteries featuring Jane Lawless, she lives in Minneapolis, Minnesota.